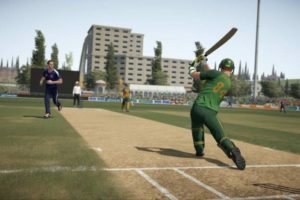 ICC Pro Cricket 2015 is a game from Indiagames/Disney which was specifically released as the official cricket game for ICC Cricket World Cup 2015. 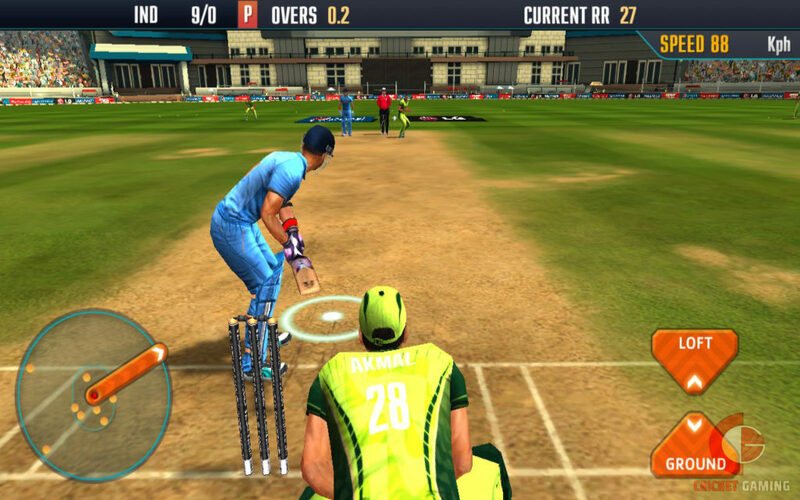 ICC Pro Cricket 2015 seems to be a game designed for Mobile Phones and then ported to PC after adding few more things. 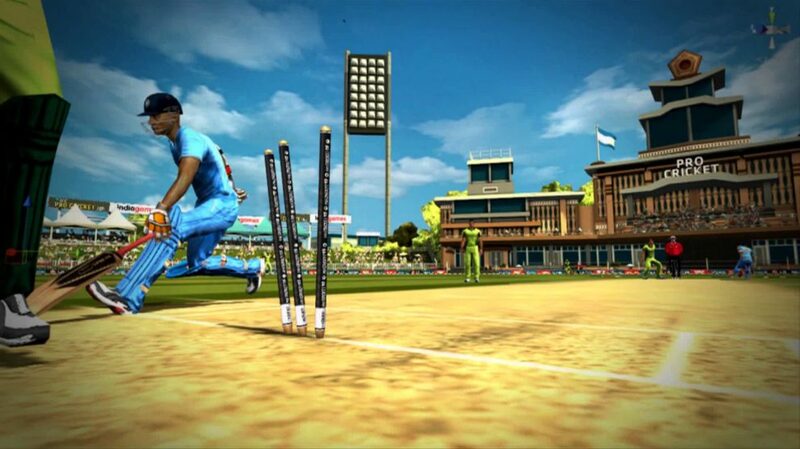 This game isn’t the updated version of last official cricket game Cricket Power which was developed by Mindstorm Studios but a complete new game developed using the popular Unity3D Engine which is the reason for this game to be available on Multi-platforms. When you first start the game, you will be shown different modes which are available in this game. There aren’t too many modes available apart from 3 main available game modes. 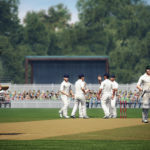 The Quick Play Mode allows you to play a Limited overs match against two teams. 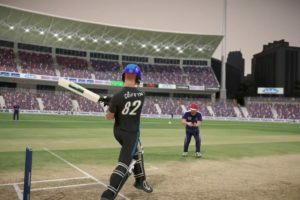 A World Tour mode allows you to play domestic cricket across the world against different nations, different conditions and different levels. You can build your team from random players, complete challenges, improve your team by managing them, training them etc. Last but not the least is the official ICC World Cup Tournament mode which allows you to pick one team and play the whole ICC World Cup tournament to win the trophy. The World Tour mode is really impressive. The player attributes are accurately and implemented in-depth. 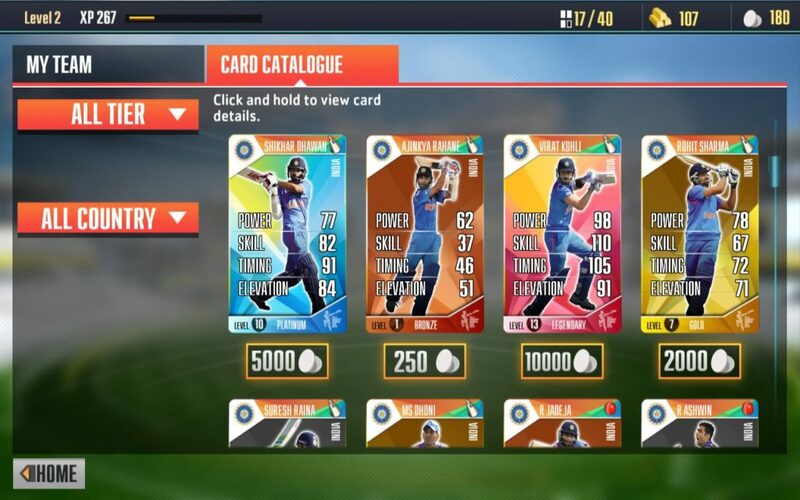 There is a card system in World Tour mode, which allows you to build your team with new players or update the current skills of your team players. You can sell your players (cards) if they aren’t performing well or you can buy better players if you have the sufficient money.When you play the game for the first time, you will be guided through a forced tutorial which explains you every control in detail. 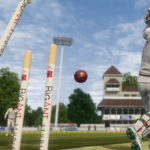 However, the game doesn’t have too many features or customization options which you would like to see in a cricket game. There is no create-a-player mode or any other custom mod feature. The game comes with limited features. This is something which is quite disappointing. The graphics in the game takes me back to 2004. 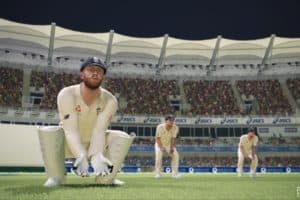 Even if it’s a port from Mobile to PC, cricket gaming fans would expect better graphics. There are very few motion scenes included like the umpire signals, batsman going back to the pavilion or next batsman coming to bat and few seconds of wicket celebrations. The game doesn’t run smooth or very fluid. There are lot of lags in the menu and doesn’t seem to be well optimized for PC. However, considering the budget they have and the last official cricket game (Cricket Power), they have at least improved. The A.I of the game is okay. The players perform according to their skill levels. So, if you try to slog using your tailender, there is a big chance that you might end up getting caught by a fielder in the deep. However, winning matches isn’t a tough task and neither taking wickets. The gameplay is decent considering the depth of the game. The opponent batsman will try to hit for a big shot but may not get it right every time. 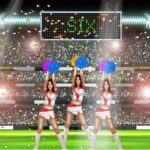 The control system used in this game is a bit different from other cricket games. The control system is definitely impressive and innovative. You can choose to play with Keyboard and Mouse or you can also use your Gamepad. The default batting controls allows you to set the shot direction using your mouse and then select your shots. The shot automatically varies according to the shot directions you’ve set. You need to time the ball perfectly which isn’t easy so that definitely need some practice. The bowling control system is more impressive then the batting controls. You have to select the bowling length first using your mouse. It may not be easy to select Good Length or Full Length as the selection marker is constantly moving. After selecting your bowling length, you have to set the bowling path of your delivery. Once you’re done with setting the delivery path, bower will start bowling. To complete a successful delivery, you need to make sure that your bowling cursor stops on the green area else the delivery will either result in a No-Ball or will be cancelled. You can even cancel the delivery yourself if you feel that the path and length you’ve chosen isn’t the right one. However, sometimes there is a delay in the control response time. The control system is really good but definitely needs some improvement. tell me when will be next update available of ICC pro Cricket 2015????????? I’m not sure but I feel they might be planning for a new cricket game for ICC T20 World Cup 2016 event. Tell me what this game required internet for update feature after install app. No i have gadget360 article i read that disney complete team left india games thats whe they can’t able to update this game.